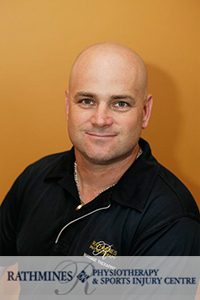 Garry Lavis graduated from TAFE NSW, Tighes Hill Campus in 2002, with a Diploma in Health Science (Remedial Massage). Garry has owned Rathmines Physiotherapy & Sports Injury Centre since 2002 with his wife Eileen Lavis. In that time Garry has introduced and established the remedial massage therapy component of the business. Garry’s keen interest in exercise developed after playing professional rugby league and competing in the Subaru Triathlon Series in Canada. This interest in fitness has resulted in him graduating from TAFE NSW, Tighes Hill Campus in 2007, with a Certificate IV in Fitness. Since that time Garry has been fundamental in further developing the fitness component of the practice particularly with regards to exercise for rehabilitation and hydrotherapy. Garry was the New South Wales State Vice President of The Australian Association of Massage Therapists (AAMT) and was on the National board of directors from 2002-2005 and rejoined the board in 2008 becoming the current National President of AAMT in 2009. Garry is a facilitator for the Hunter Regional Lectures for Remedial Massage Therapists. Garry is also working to initiate the process of massage therapists to become fully registered health professionals. Garry continues to serve as the Conference Committee Chairman and has a keen desire to promote Remedial Massage Therapy as an evidence based legitimate therapy. Garry is an expert witness for the Department of Public Prosecutions. Garry continually attends and organises continuing professional education events.